Black Ians Rocks is in the Black Range in The Grampians. It has a well deserved reputation for superb crack climbing in the intermediate grades, as well as a range of other styles of climbing. 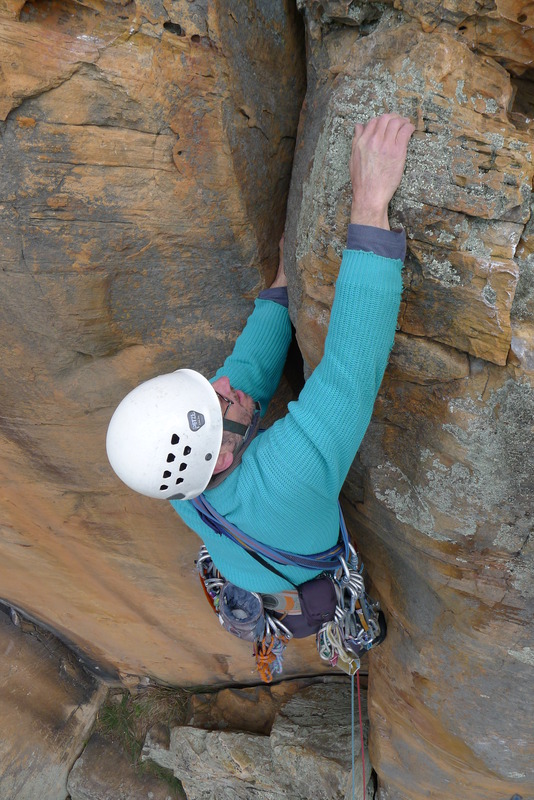 The crag now also has a number of mostly harder sport routes. Black Ians is also a perfect winter crag, with most of the routes catching any available sunshine. But be prepared for a bruised ego while learning to climb cracks! All levels of climbing experience are welcome, but Beginner numbers may be limited depending on the numbers of experienced climbers on the trip. 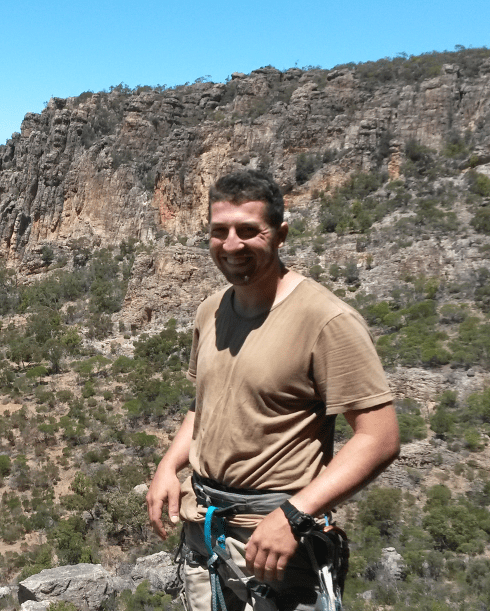 Prior crack climbing experience is not essential – Black Ians is a great place to learn. The sandstone at Black Ians is no where near as unforgiving as at Buffalo or Mt Alexander. Please contact Rhys Boyar, the Trip Leader, prior to the trip for more information. Photos: A sample of an fist jam at Black Ians and Rhys Boyar, the Trip Leader.